Help! Where is My House? – Joyce's mystery and fiction book reviews with some non-fiction too! Help! Where is My House? Children will meet a number of animals in this book including, among others, a dragon, a hippo and a cat. Each animal is shown in an illustration with a picture of their house. The challenge for the child is to turn the page and find exactly that house among those pictured. 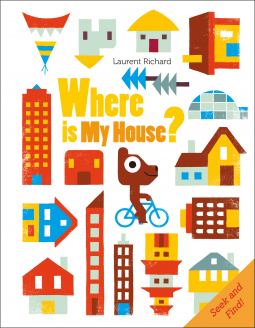 This book provides children with a fun way to build their visual discriminatory skills. I recommend it.